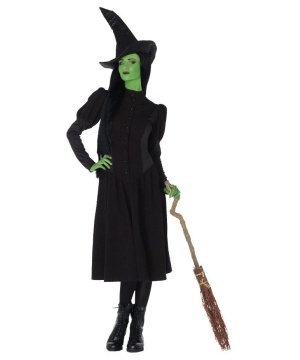 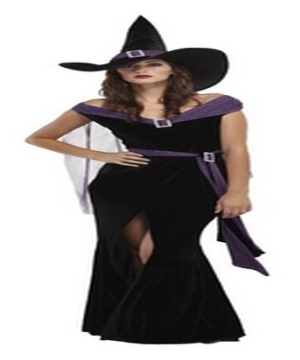 This is the exciting and spooky Womens Witch Costumes section where you will find the best Witch Costume for your next Costume Party. 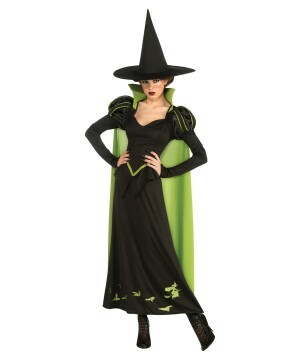 Have a thrilling Halloween in a Witch Costume. 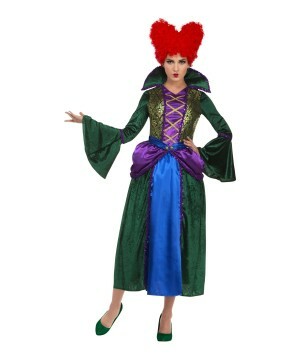 These Halloween Costumes are available for women in different styles and at very affordable prices. 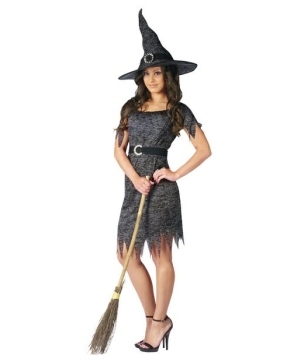 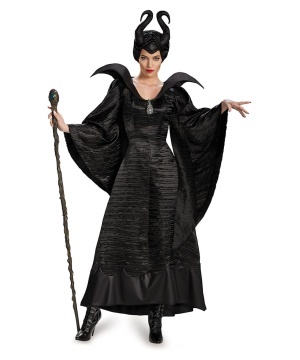 A Women's Witch Costume will be a hit at your next event. 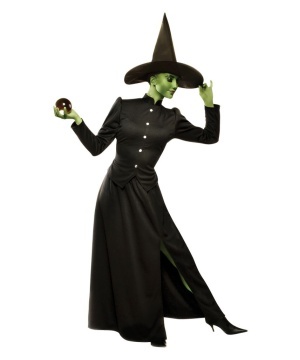 The cauldron is at a boil, and the sweet smells of eye of newt, frog legs, lizard tails and mandrake roots are delightfully tickling every receptacle in your long, warty nose. 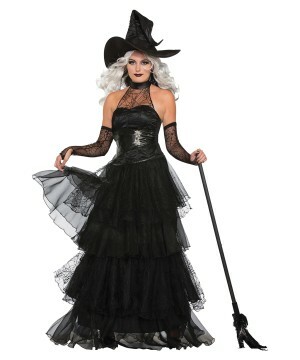 Put down the wooden spoon and take the broom out for a spin. 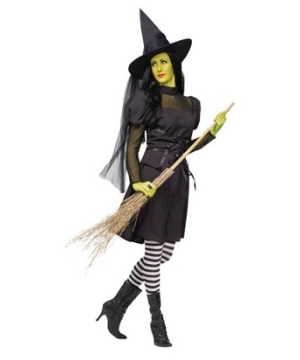 By the time you get back, the stew will be perfect for the party, and while you’re out, check out our Women’s Witch Costumes that will make you the star of the party. 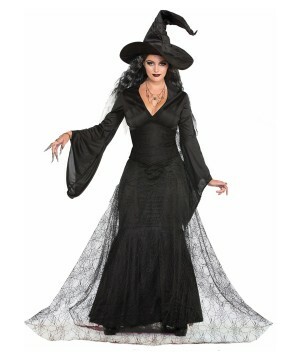 With a massive inventory of different styles for every discerning witch, a Witch Costume for females from Wonder Costumes is sure to be a blast. 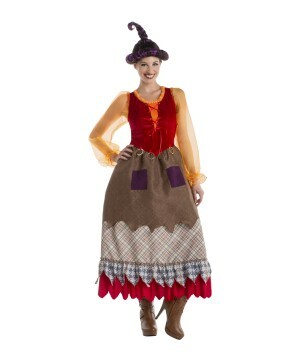 If you’re in a sugary mood the Candy Corn Witch Costume is a sweet design or orange, black, yellow and white that is designed for all ages and sizes and will appeal to any passerby with a sweet tooth and, perhaps, an interest in the finer tasting things in life, somebody who might be excited to share your witchy concoction. 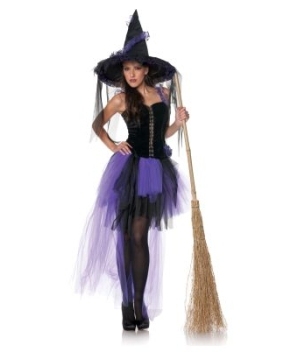 The Amethyst Witch Costume defies the classic grunginess of a shredded black witch dress and, instead, is a very elegant purple gown with slit sleeves, a silver belt and a silver witch hat, a lovely style that is enchanting even without the help of your magic. 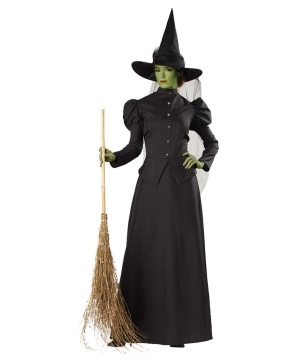 These are only a sampling of the massive choices for all witches looking for the best Witch Costume for a special occasion. 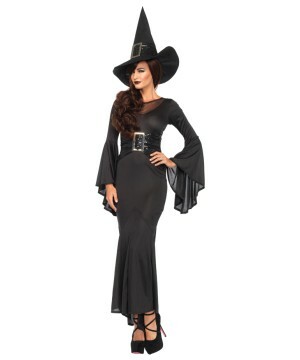 Check out the styles and find the right Women’s Witch Costume to cast a spell of thrill and beauty at your next costume party!